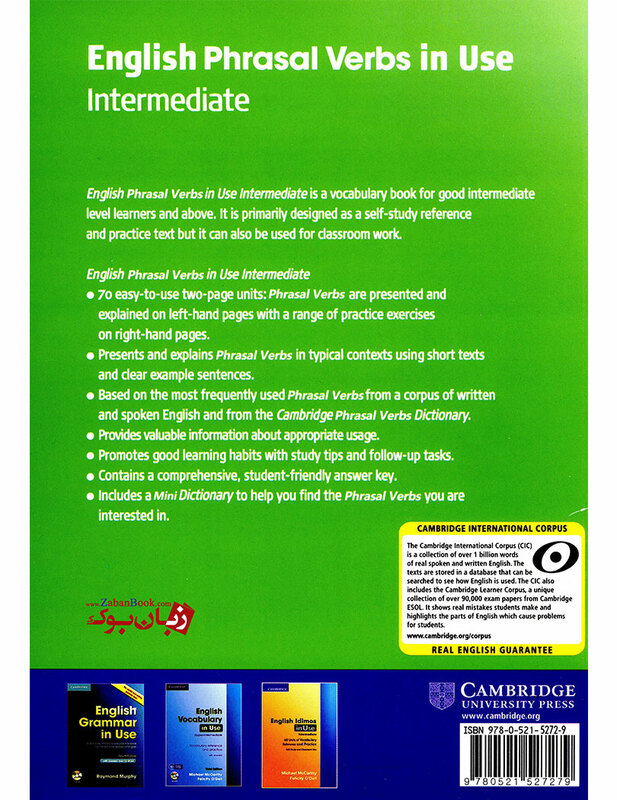 This reference and practice book contains 70 attractive two-page units featuring approximately 1,000 phrasal verbs. English Phrasal Verbs in Use is a comprehensive reference and practice book suitable for students from good intermediate level onwards. Over 1000 of the most useful and frequent phrasal verbs are clearly explained and practised in typical contexts. The material is designed for self-study, as well as classroom use, and has a student-friendly answer key. اولین نفری باشید که در مورد کتاب English Phrasal Verbs in Use Intermediate نظر می دهد.